December 11 -Ã‚Â Obtained Larry Murphy and Peter Taglianetti from Minnesota for Jim Johnson and Chris Dahlquist. December 13 -Ã‚Â Obtained Jiri Hrdina from Calgary for Jim Kyte. December 21 -Ã‚Â Obtained Scott Young from Hartford for Rob Brown. March 4 -Ã‚Â Obtained Ron Francis, Ulf Samuelsson and Grant Jennings from Hartford for John Cullen, Zarley Zalapski and Jeff Parker. June 16 -Ã‚Â Obtained Joe Mullen from Calgary for a second round choice in the 1990 Entry Draft. October 27 -Ã‚Â Obtained Gord Roberts from St. Louis for future considerations. â€¢ Bob Johnson was hired as head coach and Scotty Bowman named director of player development and recruitment on June 12, 1990.
â€¢ Mario Lemieux returned to the Penguins lineup on January 26 at Quebec after missing 50 games with a back injury. â€¢ Penguins won their first-ever division title, capturing the Patrick Division crown with a 7-4 win at Detroit. â€¢ The Penguins won their first-ever Patrick Division Playoff Championship by beating the Washington Capitals. 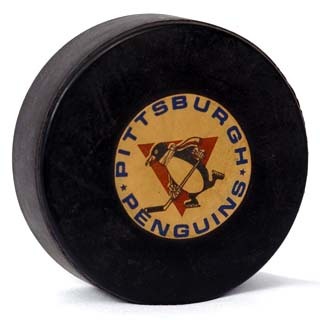 â€¢ The Penguins earned the right to play for the Stanley Cup, beating the Boston Bruins, 4 games to 2, to capture their first Wales Conference Championship. â€¢ With an 8-0 victory over Minnesota, the Penguins became Stanley Cup Champions, defeating the North Stars four games to two. â€¢ Lemieux won the Conn Smythe Trophy as playoff MVP. â€¢ Jaromir Jagr was named to the NHL All-Rookie Team.